This year, Davao City will celebrate the 30th KADAYAWAN FESTIVAL 2015. Showcasing the indigenous tribes rituals in celebrating after a bountiful harvest. Which also coincide the International Day of the World's Indigenous Peoples. 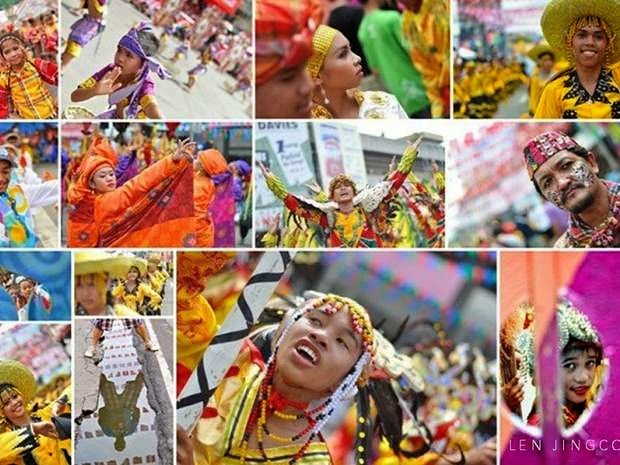 KADAYAWAN is also known as the FESTIVAL of ALL FESTIVALS, a month celebration that display and show the fun-loving side of Dabawenyos, a burst of colors with spectacular floats of fresh flowers and fruit harvests. The 30th Kadayawan Festival is scheduled from August 17-23, 2015. Last April 15, our City Mayor Rody Duterte issued and signed an Executive Order, creating an EXECOM that will plan, organize, manage and implement the activities of the festival. City Government of Davao together with the private sector Kadayawan sa Dabaw Foundation, Inc. will hold the annual event. The Execom will be spearheaded by the Davao Vice-Mayor Paolo Duterte and assisted by Mr. Rollie Dumalag of Kadawayan sa Dabaw Foundation as his vice-chairperson. The Kadayawan sa Dabaw Foundation will be in-charge for the ways and means committee, this body will be the one charged in reviewing and making recommendations for the festival budgets. So as of now, they are looking for sponsors inorder to raise revenue needed for the said event. Kadayawan sa Dabaw Foundation, Inc. I was able to attend a Kadayawan festival several years ago, it's really festive. I hope to experience it again. This is a must-see festival. Hope maka-attend din ako in the near future. If you guys love Philippine festivals, then Kadayawan should be on your must-see festival this year. I need to go to a real vacation soon. I actually want to tour to Davao one day. It must be a joy to attend one of these festivals. As I am far from home, all I can do is hope that everyone enjoys it and the event will be successful. This would be a nice event to attend to. You just have to be ready to face the crowd where people bump each other like when we witnessed Cebu's Sinulog. I'd love to visit Davao soon for this experience.